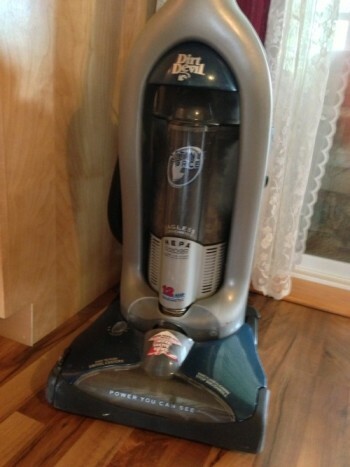 Vacuuming is one of those household chores that always needs to be done. I swear, I could do it daily at my house. I suppose I could get different carpet that doesn’t show the dirt so easily, but I’ve learned it’s best to clean the dirt rather than hide it. Vacuuming involves suctioning dirt and grime out of the carpet and furniture, the debris left over from people walking on or sitting on it. It happens continuously since everyone who comes into the house leaves something behind, usually without even realizing it. Dirt sticks to our shoes and hands and is left behind everywhere we sit or walk. We can’t help but leave a trail everywhere we go, and some people leave more dirt behind than others. Vacuuming is a way of cleaning it out and removing it. If you haven’t guessed it by now, the dirt I’m talking about refers to negative attitudes. Pessimists are easy to spot, and as soon as they walk into the room or office, hearts sink a little. Why? Because we know they’ll have nothing positive to say about anything. As such, we’re brought down a notch as soon as we see them. I admit that, at times, I am that Debbie Downer, but it is far less frequent than it used to be. I am better at catching myself before I pollute too many people, and I’ve also gotten better at apologizing when I go overboard. Alright, well the truth is, lately I have been struggling more than I would like to admit. Just ask my family. They would be the first to admit it. My husband has been walking around telling our teenage son and me, “Check your attitude at the door.” My negative attitude was rubbing off on our son and vise versa. I know it’s going to be a tough day when I’m having to apologize before I drop him at school in the morning. A negative attitude is probably more contagious than a positive one. Caroline Leaf, MD in her book, Who Switched off My Brain, talks about the power our thoughts really have over our bodies. Through brain scans they can show that when a person has a positive thought all of these happy chemicals and hormones are released into the body. They head to the heart, and then the heart sends out another hormone that brings on peace. As a self -proclaimed geek, I get really excited when God and science come together. Remember the scripture hold every thought captive? we pull down every proud obstacle that is raised against the knowledge of God; we take every thought captive and make it obey Christ. Paul wasn’t kidding. These same scans can also show what happens when we have a negative thought. Cortisol and other stress hormones are released in the body, which then have a negative effect on physical and emotional health. There have been tons of studies done on the effects of cortisol and stress on the body. And, the negative chemicals take 6 times longer to get out of our system. It is scary to think my thoughts can have such a dramatic effect on my health not just my day. I need to continually remind myself to take every thought captive. There is power and health in positive thinking. Let’s face it, negativity doesn’t feel good. There are days when I end up not liking how it feels in my own skin. Those are the same days when my kids and husband are running for cover. Those are the days that I have to force myself to list what I am grateful for, thank God for all things, and speak kindly to others. This really works. Sometimes it is really hard, but it never fails to change my negative attitude to a positive one. Will you join me in vacuuming up some negative attitude? What are you going to commit to so this change will happen? Who is going to hold you accountable? Share it here and we can hold each other accountable?